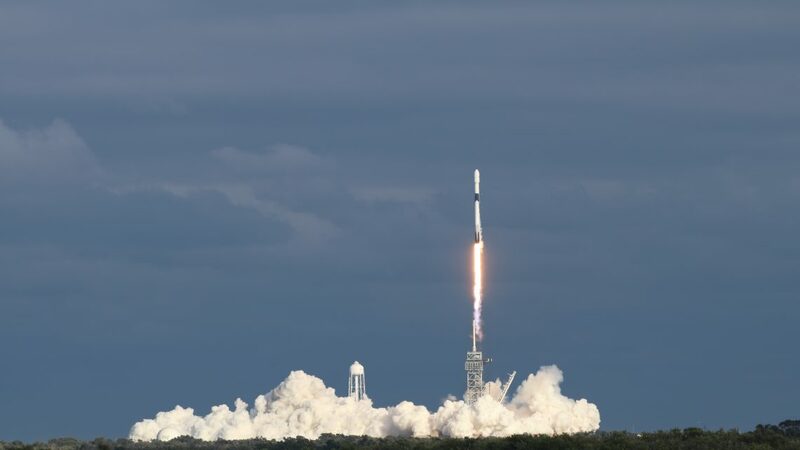 On November 15th, the Es’hail-2 communications satellite for the Qatari satellie operator Es’hailSat (The Qatar Satellite Company) was launched on a Falcon 9 rocket from SpaceX at Cape Canaveral spaceport. On board is AMSAT Phase 4-A, the first amateur radio linear transponder in geostationary orbit. AMSAT-Deutschland e.V. (AMSAT-DL for short) was significantly involved in the conception and specification of this transponder from the beginning. 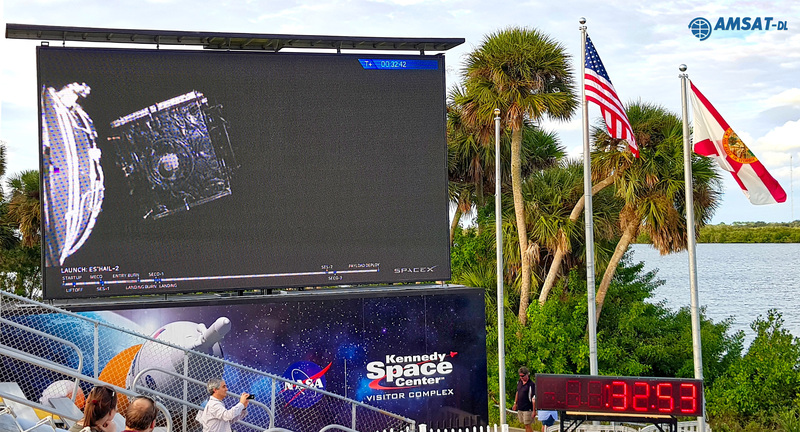 The launch took place at 20:46 UTC from the legendary launch pad 39A, from which Apollo 11 to the moon and the maiden flights of the first Space Shuttle Columbia and the SpaceX Falcon Heavy were launched. About half an hour after the launch, the satellite was placed by the launch vehicle into a geostationary transfer orbit. From there Es’hail-2 will move with its own propulsion system in the next days and weeks towards geostationary orbit and take its final position of 26 degrees East over Central Africa. After commissioning and subsequent testing, the amateur radio transponder, which will enable intercontinental connections within an area between Brazil, Europe and Africa to Thailand, will be released for general use for radio amateurs. The Phase 4-A project was made possible by the generous support of satellite operator Es’hailSat from Doha (Qatar) and the Qatar Amateur Radio Society (QARS). 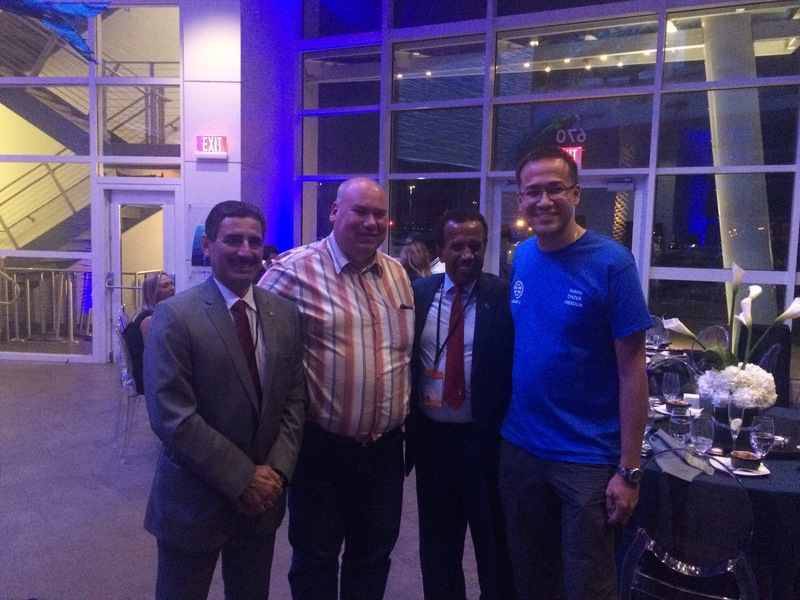 We thank the State of Qatar for this historical contribution to the amateur radio community, friendship and humanity worldwide.